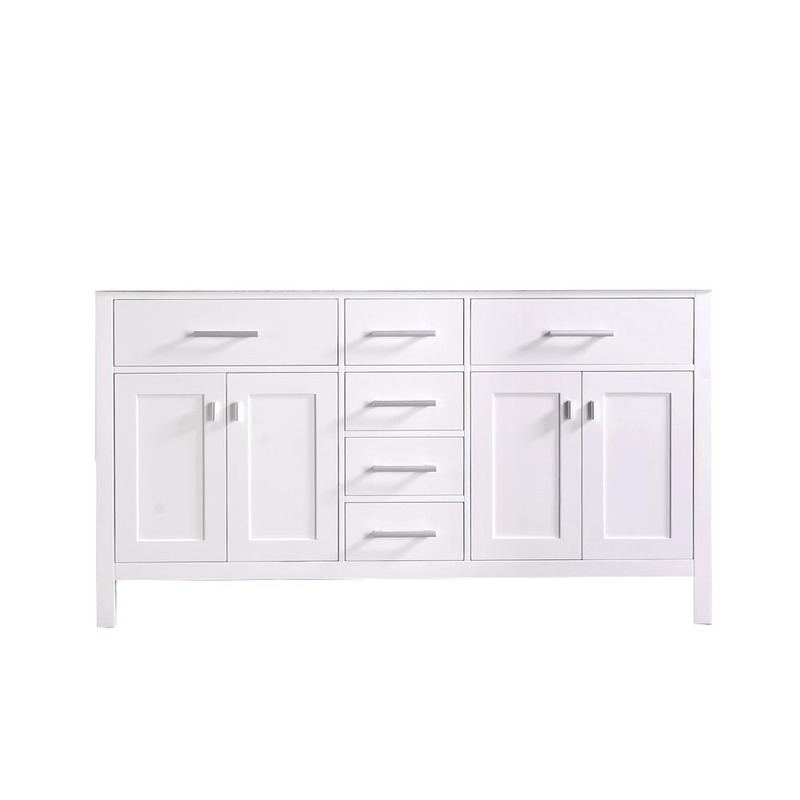 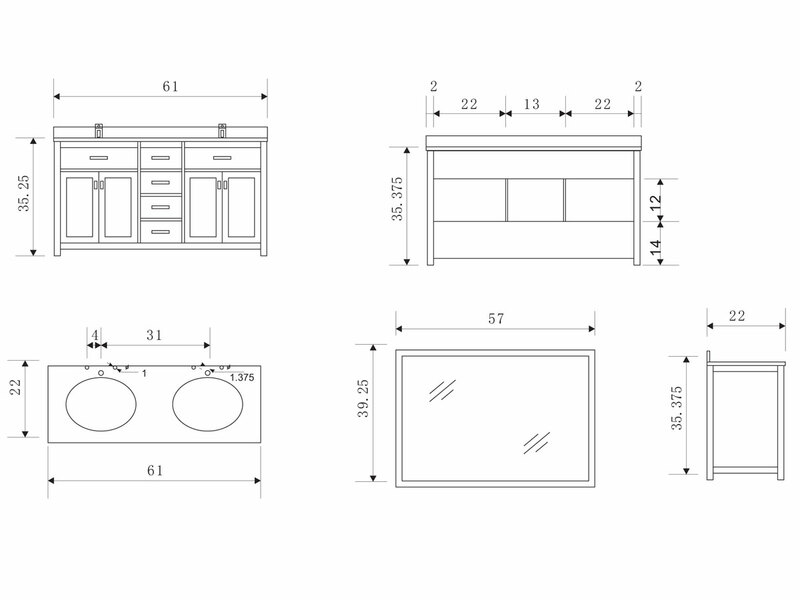 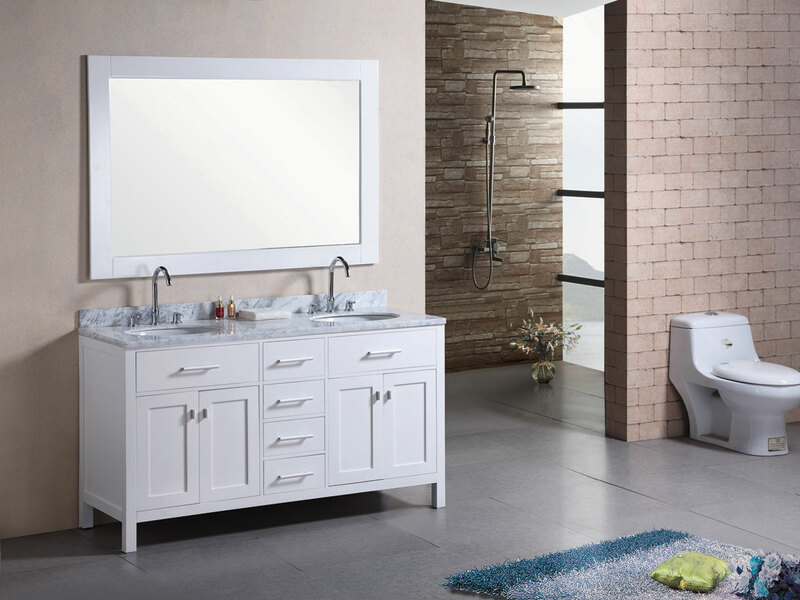 The London Bathroom Vanity is sure to brighten up any bathroom with its white finish and great modern look. 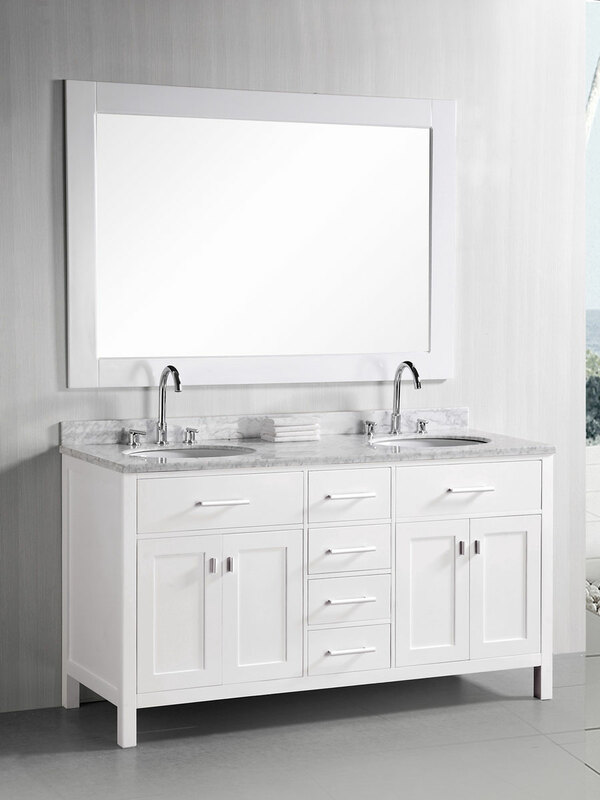 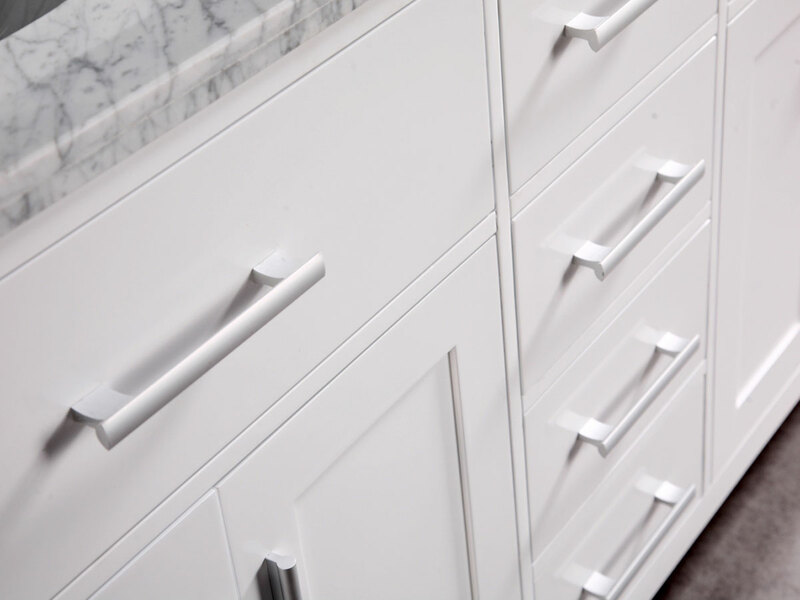 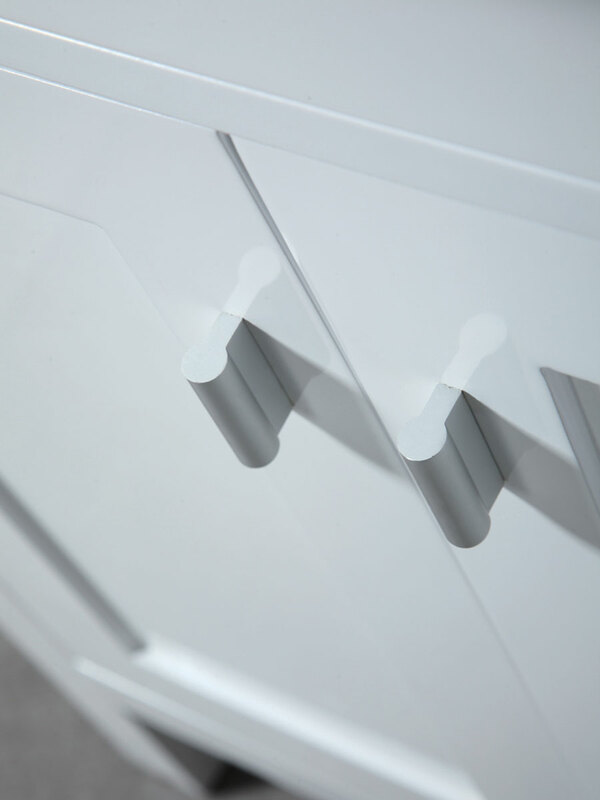 The vanity's clean lines and satin nickel hardware make it a terrific example of modern design. 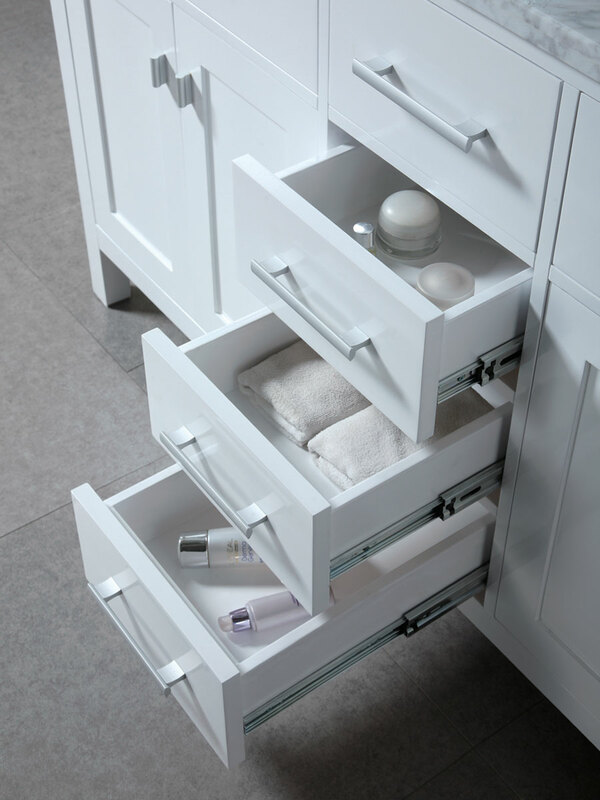 With two double door cabinets and four pull-out drawer, this vanity has ample storage space and a variety of ways to organize your bathroom accessories. 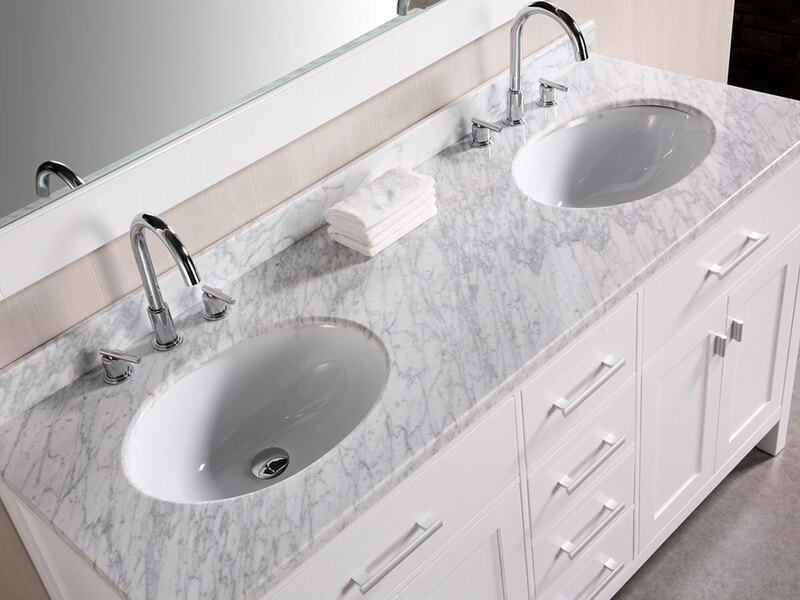 The counter top is made of marble and is incredibly spacious, making it both beautiful and practical. 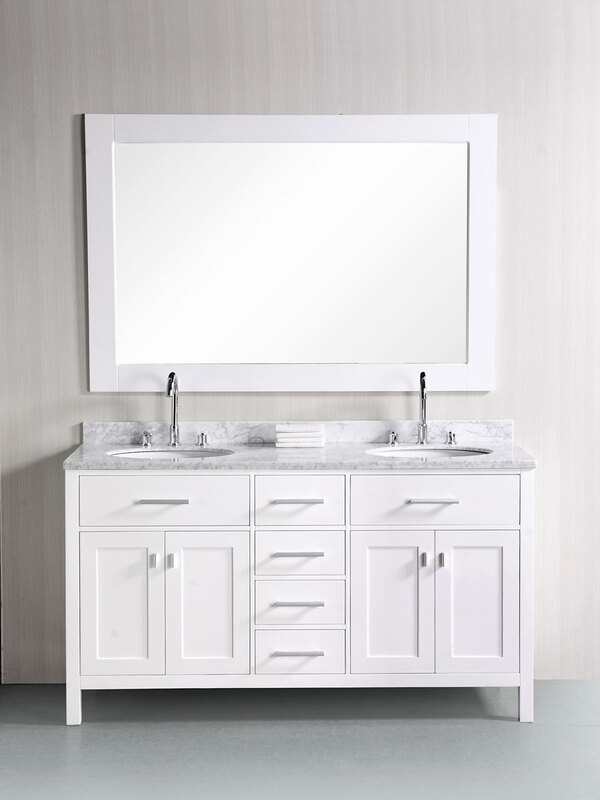 This vanity includes a matching framed mirror.